I’m making a game this weekend for Ludumdare. I’ll be blogging over there! Yeah, feel free to heckle my poor art skillz. 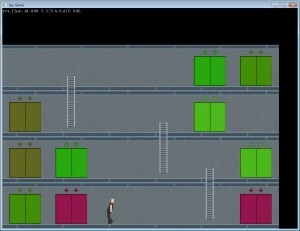 This entry was posted in Development/RTsoft, Proton SDK on December 19, 2010 by Seth. This reminds me of a minigame that was part of Dilbert’s Desktop Games. Good fun.